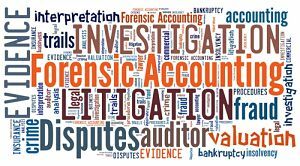 The AICPA provide CPAs with a vast array of resources, tools and information about forensic accounting and offers the Certified in Financial Forensics credential. Everyone has a friend or relative that is difficult to purchase a gift for. I’m sure you’re thinking of one after reading that sentence! That’s why gift cards are so popular –the person gets to pick out something they know they’ll like. It’s really a win-win situation. However, in recent years, scammers caught wind of the lucrative gift card market and have come up with schemes to target consumers. AICPA Insights reached out to Howard M. Silverstone, CPA/CFF, a forensic accountant and member of AICPA’s Fraud Task force to learn how Americans can protect themselves from gift card fraud this holiday season. AICPA Insights: I only recently heard about gift card fraud a few weeks ago. How long has this scam been around? Imagine you’re at work on a typical Monday morning. Suddenly, an email from the CEO hits your inbox. It’s marked ‘urgent,’ so you open it right away. She needs you to wire $15,000 to one of your regular vendors ASAP. You make the wire transfer, and head to the break room to refill your coffee. There’s just one problem – that email wasn’t really from your CEO. And that bank account where you sent the funds? That’s not your vendor’s account. You just sent thousands of dollars to a cyber criminal. Uh oh. It’s a scheme called executive impersonation, a type of business email compromise (BEC) scheme mentioned in an SEC alert issued last month. Unlike a typical scam email, which may have poor grammar or overly suspicious requests, BEC scams are convincing because the criminals spend time figuring out the corporate culture and common phrases and terms used by employees. CPAs should take note, because scammers could try to perpetrate a similar fraud against their small business clients. Tax reform affects more than just taxes. It has lasting implication for all CPAs and introduces some uncertainty for financial forensics and business valuation. Depending on who your clients are, you may feel this more than other CPAs. If you concentrate in estate and gift tax valuation, now is a good time to start looking outside those business models by leveraging the opportunities that have come up since the new law was signed. In a recent interview, Don DeGrazia, CPA, ABV, CFF, partner with Gold Gerstein Group LLC, explained the P.L. 115-97, known as the Tax Cuts and Jobs Act, makes the federal estate tax temporarily go away for many tax payers. While state estate or inheritance taxes are still in effect, they don’t provide nearly the same volume of business. Determine what’s at stake and how location matters. The assets in a divorce will typically include cash, retirement funds or a home. Often, the largest asset at stake is a closely held business. That can be a professional practice – if one or both partners are, say, a lawyer, physician or accountant – or an operating entity, such as a retailer, wholesaler, manufacturing business or a farm. The complexity of the engagement can be affected by the jurisdiction in which the case is being heard and can depend on state law. Be prepared, as the legal environment may produce unexpected complexities.